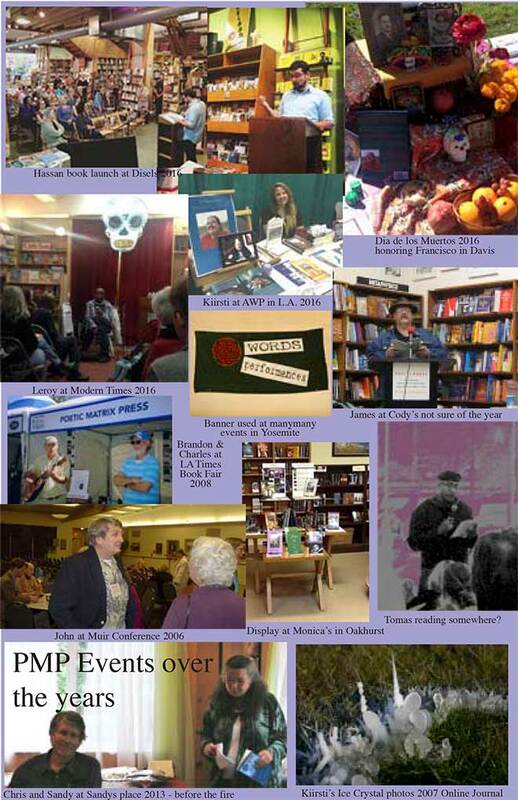 Poetic Matrix Press' 20th Anniversary Authors' Anthology So Many Voices. With material from our 60 books and 45 authors (including new pieces from many) this is a true reflection of So Many Voices that we have had the privilege of publishing. This is an interesting and beautiful compliment to our publishing efforts. Available from Small Press Distribution (SPD). Now is the time to get Peter and Donna Thomas' hiking guide, Muir Ramble Route. 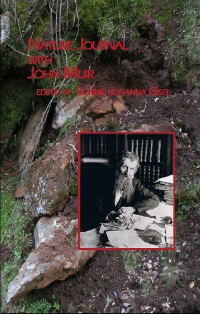 This is a detailed guide to John Muir's original walk from San Francisco to Yosemite in 1868. 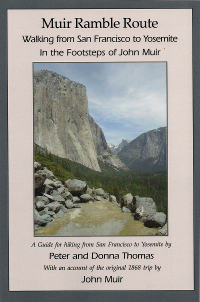 The Thomases have researched and written out this guide along with Muir's writings on this walk drawn from his various accounts. They also add their account as they walked in Muir's footsteps. Get this guide now and plan all or part of the hike, the best time is in mid to late spring when the wild flowers are blooming along the way. write your account of your own hike. Available from Bored Feet Press and from the publisher. Look for them at REI. A new film about Malala is in theaters, He Named Me Malala, Directed by Davis Guggenheim. Check it out and check out our title. As most of us know by now Malala Yousafzai, the Pakistani young woman who was shot by the Taliban in 2012, was chosen by the Norwegian Nobel Committee to receive the Nobel Peace Prize for 2014 along with Indian child advocate Kailash Satyarthi. Though her injuries were significant, she recovered and has become an even more powerful advocate for the rights of girls and all children to have a good education. Her voice has become even more important worldwide. In 2014 our press had the great opportunity to publish Lyn Lifshin's beautiful tribute to Malala. In this tribute to Malala Yousafzai, Lyn uses her gift of poetry to take us through Malala's recent life experience, the attempted assassination by the Taliban and Malala's recovery. "This is not journalism, rather it is a work that is best suited for poetry, a deeply personal work where the poet reveals, through compassion and insight, some moments of revelation." To assist Malala in her efforts on behalf of the girls of the world join the Malala Fund, co-founded by Malala and her father Ziauddin Yousafzai, at www.malala.org. 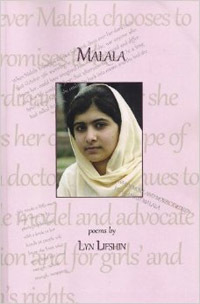 Poetic Matrix Press and Lyn Lifshin will donate a portion of the proceeds on the sale of Malala to the Malala Fund.